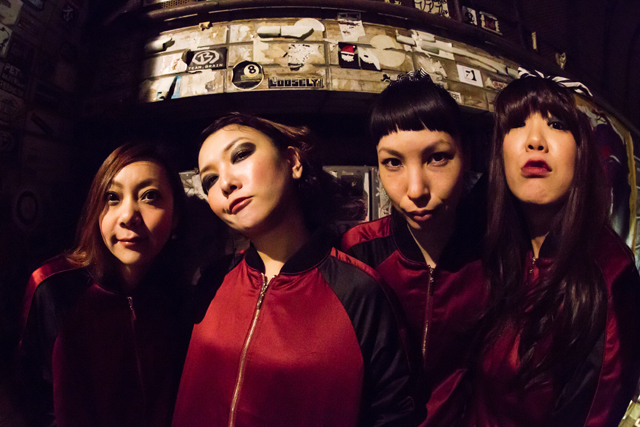 Red Bacteria Vacuum is an all-girl Japanese punk band from Osaka formed in 1998 consisting of Ikumi (guitar/vocals), Kassan (bass/vocals, also formerly known as RanRan), and Jasmine (drums/vocals). The band relocated to Tokyo in 2000. Their first EP Roller Coaster was released in January 2006. The band performed in US numerous times throughout the years, usually as part of Benten Label’s Japan Nite, an annual tour promoting Japanese indie bands in America. As part of their 2009 American tour, they played at the opening of New People, a building dedicated to Japanese culture in San Francisco. The group released their album, “Dolly Dolly, Make an Epoch” in October 2009. The band toured in the US once again in March 2010, appearing at SXSW as well as participating in the Japan Nite tour once again.